When I’m alone at home I talk to myself. Out loud. Yesterday, for example, I was just putting around, planning some Zumba dances and trying to kill a fly when I decided a snack was in order. I opened the snack drawer and saw some Kinder that Manu bought and I pointed to the drawer, “NO sir, you will not tempt me. What I need is something healthy and salty. Like...oh my god...YES. I’m so doing that. 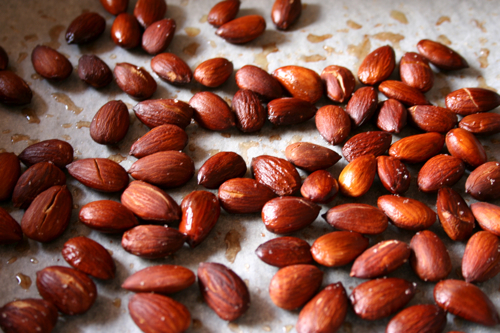 Right now.” And I was talking about the almonds. When Manu interned at a law firm and didn’t get paid for two years (fun!) the head lawyer would always take him next door to this awesome bakery for a pre-lunch aperitivo. 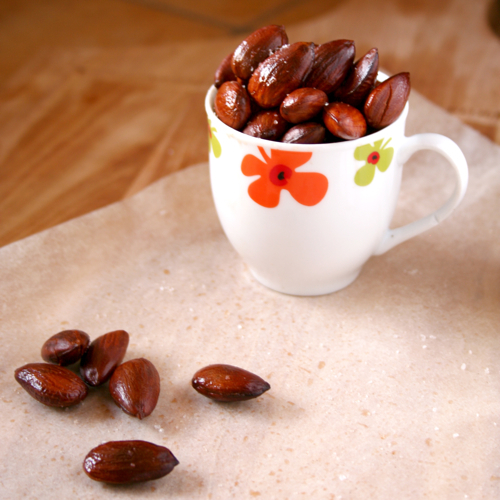 The owner put out bowls of freshly baked, salty, oily, amazing almonds for all the customers and poor Manu (no pun intended) would just live off of those almonds. Then he’d come home and tell me about them and make me so jealous. It wasn’t until yesterday that I realized, I can make those! Heat oven to 375 degrees. 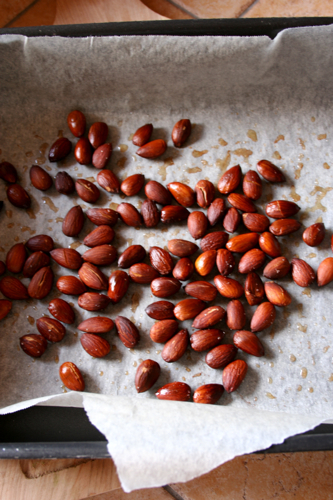 In a roasting pan covered with parchment paper, toss the almonds with the oil and salt. Bake for 15 minutes until golden and crispy. 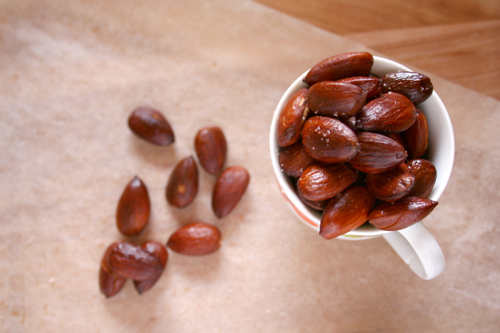 Forget what almonds taste like, these are popcorn, exploding with flavor and hints of rich nuttyness. The salt brings out the best in the olive oil and enhances the whole experience. If I don’t have a bowl of these just sitting on my counter every day from now on, I would be very surprised. Big things coming next week my friends, stay tuned, and have a fantastico weekend!